The deployment of Iskander-M missile complexes in Kaliningrad will “fundamentally change the balance of security in Europe,” NATO Secretary General Jens Stoltenberg said during a speech at the Washington-based Center for Strategic and International Studies on Wednesday. Stoltenberg described Moscow’s actions as “unjustified, destabilizing and dangerous” while adding that the alliance did not wish to deepen its confrontation with Russia. On Wednesday, Czech General Petr Pavel who will assume office of Chairman of the NATO Military Committee on June 1, 2015, said that Russia is capable of seizing the Baltic countries and the Ukrainian capital of Kiev within two days. The general also believes that if Russia launched an offensive then NATO forces would be incapable of repelling the attack. 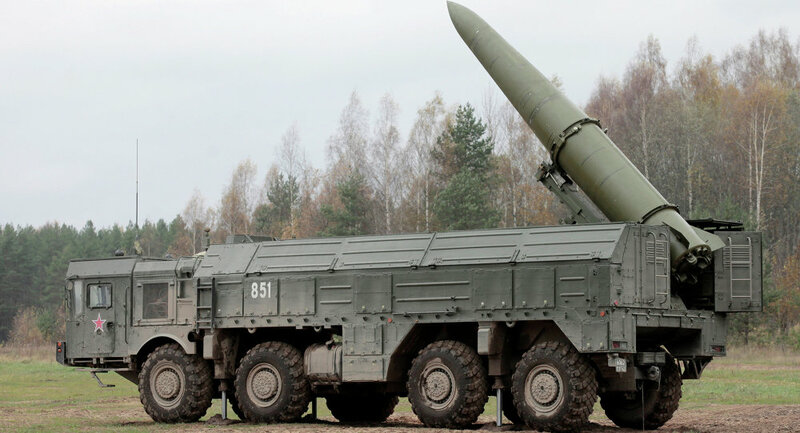 Major General Mikhail Matvievsky, chief of Strategic Missile Forces and the Artillery of the Russian Ground Forces, said earlier this month that a missile brigade redeployed to the Kaliningrad region would be equipped with Iskander-M complexes before 2018. The Iskander-M (also referred to as NATO's reporting name SS-26 Stone) is characterized by high mobility and maneuverability, as it takes just 20 minutes to place the system in operational readiness. The system is capable of hitting targets at a distance of up to 500 kilometers, with a precision of around 30 centimeters. It can hit adversary troops or underground command centers, depending on the warheads placed on the rockets. The system can also fire high-precision R-500 cruise missiles.